Sesc São Paulo, in keeping with its aim of raising public awareness and constructing a critical and democratic platform for the dissemination of the visual arts, is bringing to Brazil another exhibition focused on a critical and historical review of 20th-century art, shedding light on chapters left out of the official history already established along the axis between North America and Western Europe. This is the project of the exhibition The Other Trans-Atlantic: Kinetic and Op Art in Eastern Europe and Latin America 1950s – 1970s. 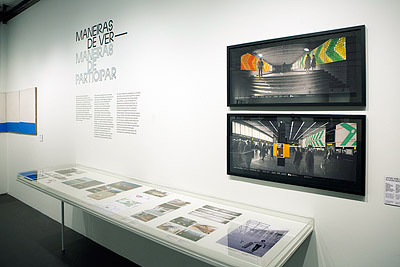 Now in its third version, the show is being held in the exhibition spaces of Sesc Pinheiros, spotlighting a vast experimental production that flourished during the postwar period in countries at the fringe of the hegemonic centers of culture, especially in South America and Eastern Europe, with a special focus on the repertoire of kinetic art and op art. Conceived by the Museum of Modern Art of Warsaw, where the exhibition was initially held, then realized in a second version at Garage Museum of Contemporary Art in Moscow, the exhibition is now being held by Sesc São Paulo in partnership with Instituto Adam Mickiewicz and Casa Sanguszko de Cultura Polonesa, in a new version featuring artists and artworks not in its previous two stagings. Curated by Marta Dziewańska, Dieter Roelstraete and Abigail Winograd, the overall exhibition design involves more than 40 artists and artist collectives, with more than 100 artworks of the most diverse natures and media, including kinetic sculptures, paintings, drawings, films and installations, besides a vast archival material. For the Brazilian context, the curators have relied on the collaboration of researcher Ana Avelar, who enlarged the participation of local artists with artworks that clearly reveal their pertinence to the exhibition’s thematic scope. This underscores the seminal importance of the local initiatives of concretism and neoconcretism, which resignified the legacy of the historical constructive avant-gardes with their painstaking investigation of vision and movement, integrating the artwork with the surroundings and including the spectator as an integral element of the artwork’s meaning. 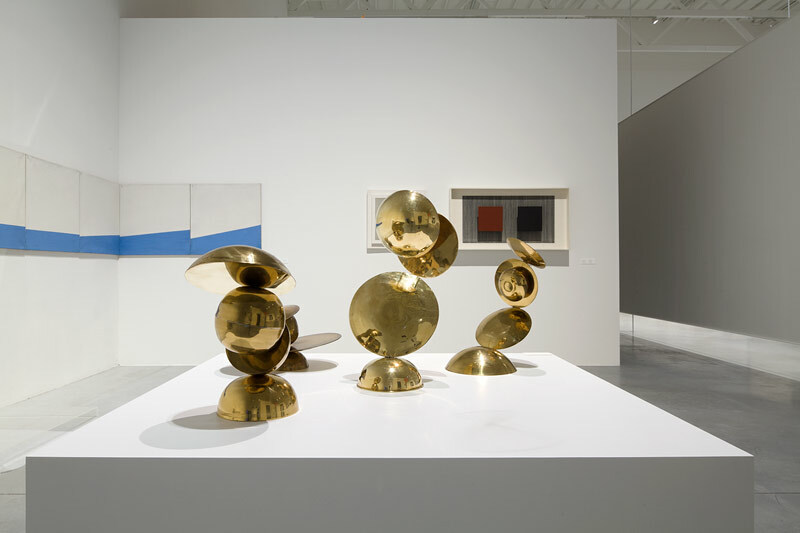 As pointed out by the curatorship, these productions that arose from constructive and abstract origins aimed to symbolize a new subjectivity, different from the abstract expressionism, informal art and lyrical abstraction then in vogue, by incorporating scientific progress and industrial development within a utopian social agenda of art. They thus constituted a specific programmatic agenda which in aesthetic and political terms ran counter to the critical approach and formal vision of art’s hegemonic axis then in place. Another international geopolitical circuit of art was thus spontaneously established, among artists from Warsaw, Budapest, Zagreb, Bucharest and Moscow, in Eastern Europe, and Buenos Aires, Caracas, Rio de Janeiro and São Paulo, in South America. Moreover, all of these locations were in a certain way immersed in relatively analogous socioeconomic and political realities, thus allowing for the rise of artistic strategies with similar programs and intentions. Therefore, in a wider critical perspective, the production of these artists and of many others raised public engagement and participation to another qualitative level, transforming the ways that art is exhibited, intensifying the sensory experience, and promoting a direct association between artwork and spectator, an indispensable dyad for the definition of an art of this nature. These interpretive keys are the reason why the selected artworks are being presented to the Brazilian public. From press information. © Image Top: Magdalena Więcek: Volatile (1, 2, 3, 5), 1970. Courtesy of Daniel Wnuk.